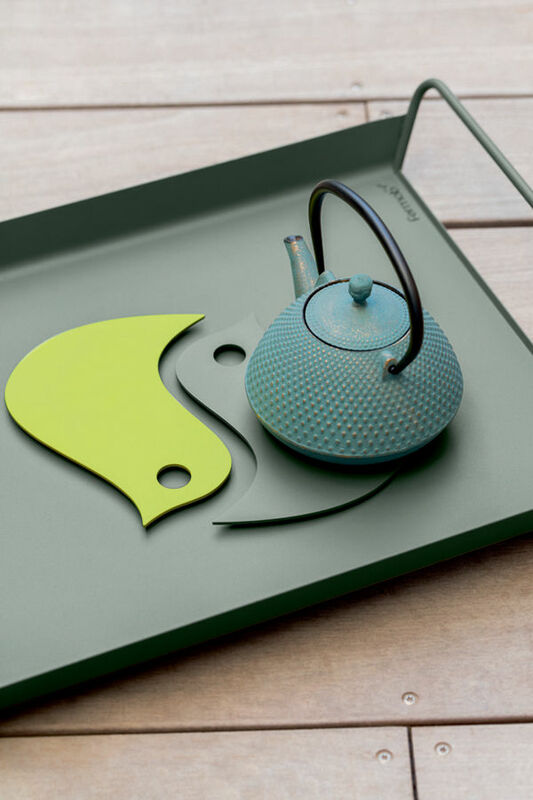 Two tablemats in one, ready to embellish all the tables and welcome your hottest dishes in style! 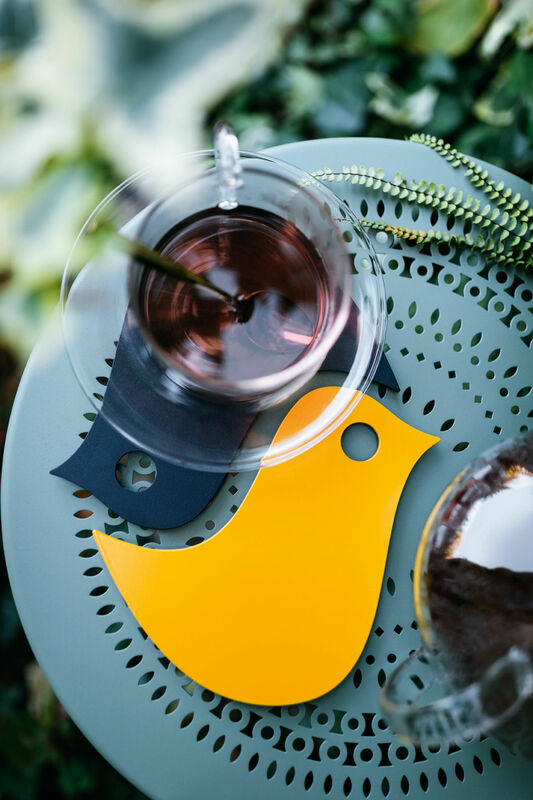 This tablemat is made of two beautiful steel birds with vivid colours. 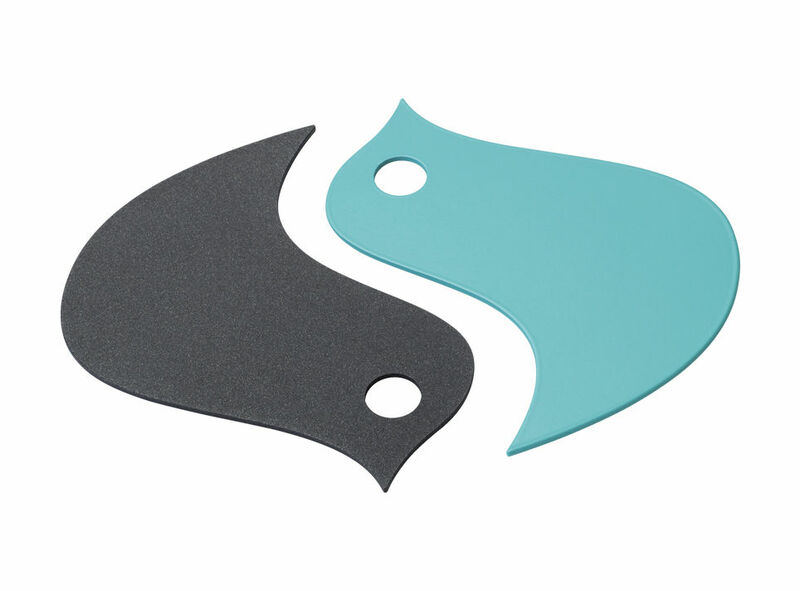 Put them together: they are made for one another and so can support large dishes. And take them apart to welcome several of them. Cosy and easy living, the ''Pièces Rapportées'' collection was designed in collaboration with the Lyon style bureau ''Aujourd'hui ou Mardi', specialising in textile design. Collections which are a perfect image of furniture, fun, colourful, always trendy and which inherit the Fermob expertise in technical outdoor material use.